The Indian batsmen are already warming up for bending down the Australian bowling and have shown their worth in the two days opener. They played against Cricket Australia Chairman’s XI, at Manuka Oval, Canberra, on 15 and 16 December, 2011. Indians compiled 320 runs for the loss of six wickets in reply to 398 scored by the home side. Sachin Tendulkar and VVS Laxman blasted unbeaten 92 and 57 runs and the youngster Rohit Sharma was at the crease with consistent 56. The visitors have already warned the home side by anticipating a series victory first time in the history. They carry a blend of experience and youth in their batting line up and their prediction of beating the Kangaroos is highly possible. We will highlight the experienced batting lot of India which can make a difference while keeping in view their career and previous performance against Australia. 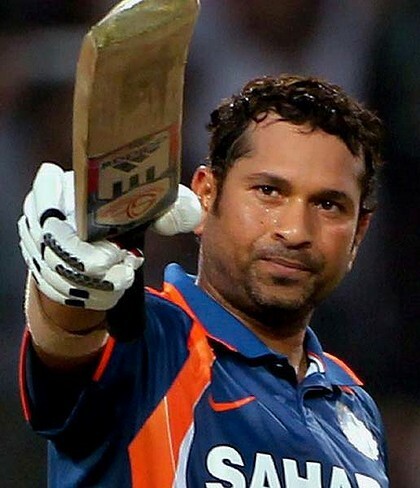 Sachin Tendulkar has played 184 Tests, thrashed 15183 runs, averaging 56.02, the best of unbeaten 248, while smashing 51 hundreds and 63 fifties. The little master has played 31 Test and scored 3151 runs at an excellent average of 60.59, the best of unbeaten 241 runs with 11 centuries and 13 fifties. 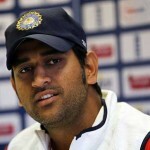 The 38-year old, highest scorer in the history of cricket is the biggest threat for the home side. He has the best average against them with a maximum of 11 centuries scored by any member of the current Indian squad and will be anticipating his 100th hundred in international cricket in the forthcoming series. Rahul Dravid has taken part in 160 Tests, scored 13094 runs at an average of 53.22, the best of 270 runs with the assistance of 36 centuries and 62 fifties. The wall of Indian batting has played 29 Tests, scored 1972 runs averaging 41.08, the highest of 233 runs with two centuries and 12 fifties. The 38-year-old has become a rock for the visitors since long and would like to continue with his present form. VVS Laxman has participated in 130 Tests, scored 8626 runs at an average of 47.13, the best of 281 runs with 17 centuries and 55 fifties. The master batman has played 25 Tests, scored 2279 runs at an average of 55.58, the best of 281 runs with six hundreds and 11 fifties. He is the Mr. reliable for India and never lets them down in the moments of crises. The 37-year-old has already predicted that his team will re-emerge again as no.1 team in the world after winning the series against Australia. 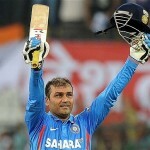 Virender Sehwag has played 92 Tests, scored 7980 runs with an average of 52.15, the best of 319 runs, with the help of 22 hundreds and 30 fifties. The master blaster encountered them in 17 Tests, scored 1596 runs at an average of 48.36, the best of 195 runs with three centuries and eight fifties. He is in great form and will be anticipating showering runs and provide match winning performances. Gautam Ghambir has been a part of Indian squad in 44 Tests, scored 3531 runs, average of 47.71, the best of 206 runs with nine hundreds and 18 fifties. The smooth operator has played just five Tests, scored 492 runs at an average of 49.20, the best of 206 runs with two centuries and one fifty. The 30-year-old will be a dangerous opponent and will be at his best in the series by providing able support to his seniors.